1. The Goal – The goal of NASA’s Commercial Crew Program is to return human spaceflight launches to U.S. soil, providing reliable and cost-effective access to low-Earth orbit on systems that meet our safety requirements. To accomplish this goal, we are taking a unique approach by asking private companies, Boeing and SpaceX, to develop human spaceflight systems to take over the task of flying astronauts to station. 2. 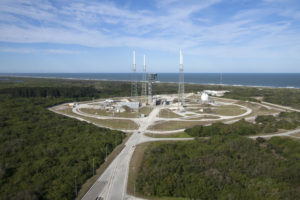 Multi-User Spaceport – Boeing and SpaceX, like other commercial aerospace companies, are capitalizing on the unique experience and infrastructure along the Space Coast at our Kennedy Space Center and Cape Canaveral Air Force Station. 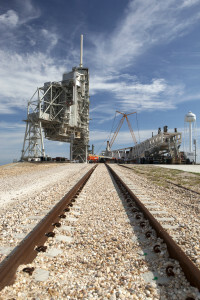 Kennedy has transitioned from a government-only launch complex to a premier multi-user spaceport. 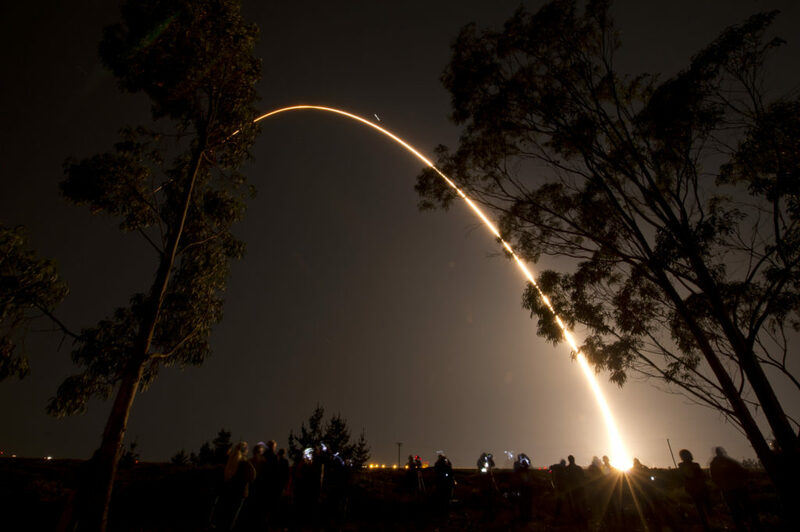 In the coming years, the number of launch providers along the Space Coast is expected to more than double. 3. Innovation – Our expertise has been joined with industry innovations to produce the most advanced spacecraft to ever carry humans into orbit. 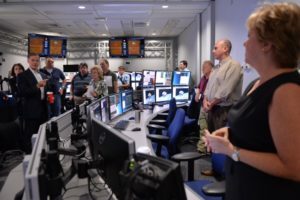 Each company is developing its own unique systems to meet our safety requirements, and once certified by us, the providers will begin taking astronauts to the space station. 4. Research – With two new spacecraft that can carry up to four astronauts to the International Space Station with each of our missions, the number of resident crew will increase and will double the amount of time dedicated to research. That means new technologies and advances to improve life here on Earth and a better understanding of what it will take for long duration, deep space missions, including to Mars. 5. 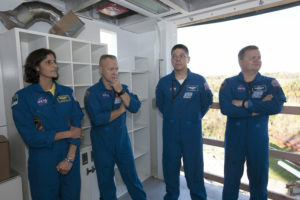 Crew Training – Astronauts Bob Behnken, Eric Boe, Doug Hurley and Suni Williams have been selected to train to fly flight tests aboard the Boeing CST-100 Starliner and SpaceX Crew Dragon. The veteran crew have sent time in both spacecraft evaluating and training on their systems. Both providers are responsible for developing every aspect of the mission, from the spacesuits and training, to the rocket and spacecraft. 6. Launch Abort System – Boeing and SpaceX will equip their spacecraft with launch abort systems to get astronauts out of danger … FAST! 7. Expedited Delivery – Time-sensitive, critical experiments performed in orbit will be returned to Earth aboard commercial crew spacecraft, and returned to the scientists on Earth in hours, instead of days – before vital results are lost. That means better life and physical science research results, like VEGGIE, heart cells, and protein crystals. 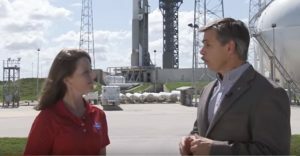 NASA’s Jon Cowart, a veteran space engineer going back to the space shuttle and other systems, offered a rundown of the agency’s Commercial Crew Program during Thursday’s launch broadcast ahead of the start of the OSIRIS-REx mission. 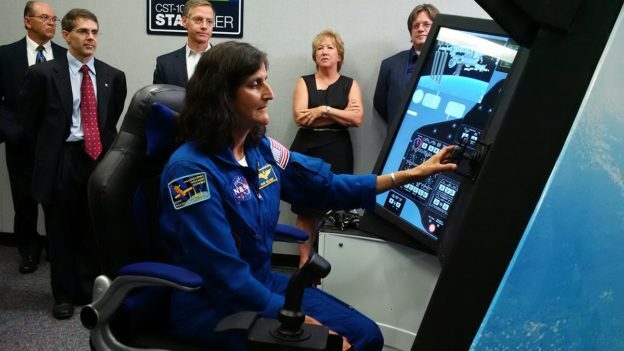 In addition to a status update on the work under way by Boeing and SpaceX to build spacecraft and launch systems to take astronauts to the International Space Station, Cowart offered the role Commercial Crew plays in NASA’s overall goals of exploration.